Thank you Salma, for the wonderful opportunity. I’m really excited to share this wonderful DIY tutorial with you and your awesome readers! Let's start! Hello, there! I have a question for you. When was the last time you played the evergreen game of Tic Tac Toe? Long time, ha? Well, then today I'm going to throw some NEW lights on it. Almost everyone has played Tic Tac Toe or Xs and Os in childhood. And has gone through the struggle to win it with friends and family. I remember playing Tic Tac Toe competitions with my school besties. And wonder how we all discovered tricks to win the game. The silent Tic Tac Toe game I'm talking about is a fun DIY project everyone would like to be a part of. I said it 'quiet' because there won't be fights for paper and color pens anymore. (And mom you won't be disturbed now!) The best thing I like about this DIY Tic Tac Toe is that it is foldable and portable! And hence is a perfect partner while travelling, especially with kids. This portable Tic Tac Toe is a great way to keep nagging kids (and adults) engaged for some time. 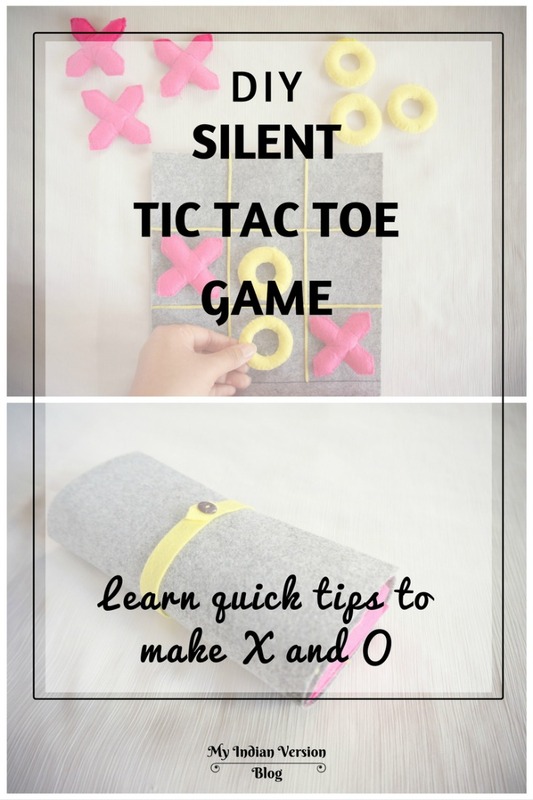 So here are the easy steps to make the silent DIY Tic Tac Toe Game! Hey guys. Hope you had a wonderful week. Just two months for Halloween and have you started preparing for it? If you want some quick and easy idea to decorate your home this Halloween, then follow along cause Victoria, our Guest Blogger today is going to share with you guys an awesome and super easy DIY Halloween home decor project. I am so happy to have her on-board. 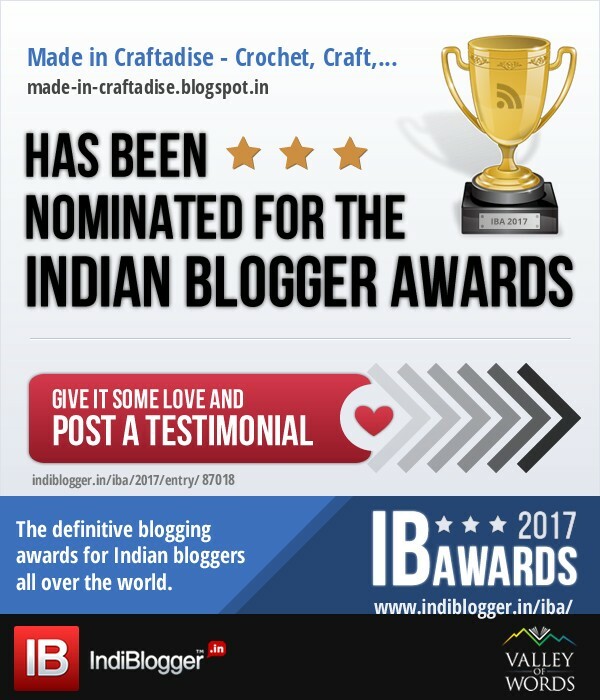 Thank you for sharing such a beautiful project with Craftadise readers, Victoria. :) Now, without wasting much time, let's see what Victoria has to share with all of us. Over to Victoria. Hi! I’m Victoria from Dazzle While Frazzled. 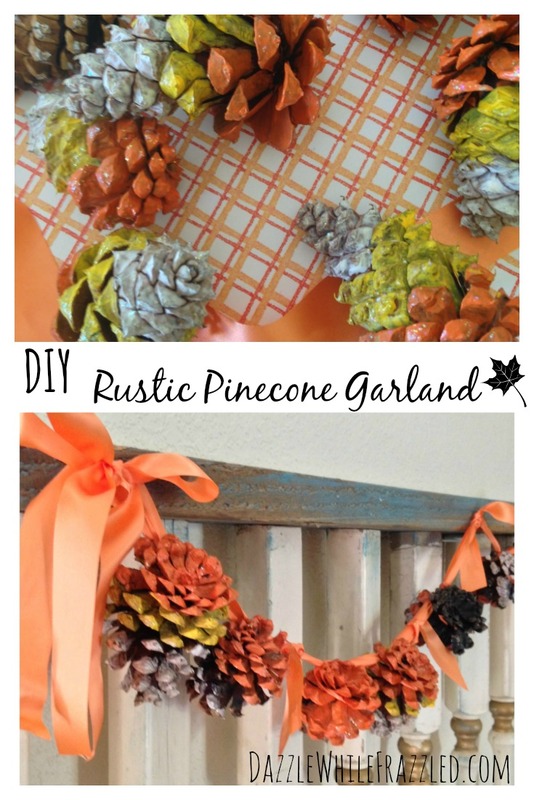 I’m happy to be here today on Craftadise sharing with you how to create an easy rustic Halloween garland using painted pinecones. Grab the kids and head outside to scour the yard (or maybe the neighbor’s!) for our main crafting supply – pinecones. Once they are cleaned (soaked in a water-vinegar bath for 30 minutes followed by baking at 200° for 30 minutes), grab your craft brush and paints to create a quick and easy hand-painted touch of Halloween. Being a blogger and a solopreneur, might sometimes makes things difficult for me. I get caught up with crochet orders, updating my blog, planning new things or ideas, cleaning my home, cooking and a lot more. I guess you all might relate to this exact scenario. Handling a blog, your business and a home sounds difficult. But believe me, for those still finding this a tedious task, we are definitely meant for more and can handle multiple tasks in a clear and organized fashion. We've got this girls. We are born with this talent of multi-tasking and it only needs to be implemented and perfected. One way I keep my home clean is by taking a set of tasks and doing it everyday, so that I don't find myself in a clutter by the end of the week and doubling my time for cleaning and household activities. Doing this saves me so much time and effort and I can concentrate on my blogging and business as well. 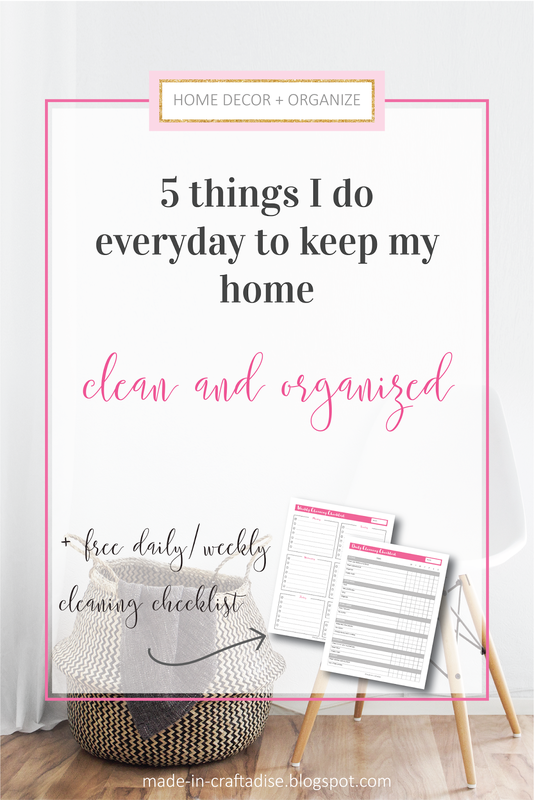 So lets see what 5 things I do everyday to keep my Home clean (and maybe next week, I will post on the things I do everyday to organize and plan my business and blogging activities, the entrepreneur side of me). Before I can get into this post, I would definitely like to mention few things. 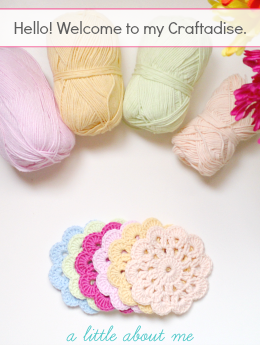 I was into card making before, but when I found my love for crochet along the way, I slightly leaned towards crochet and blogging and wasn't much into cards or paper crafts. 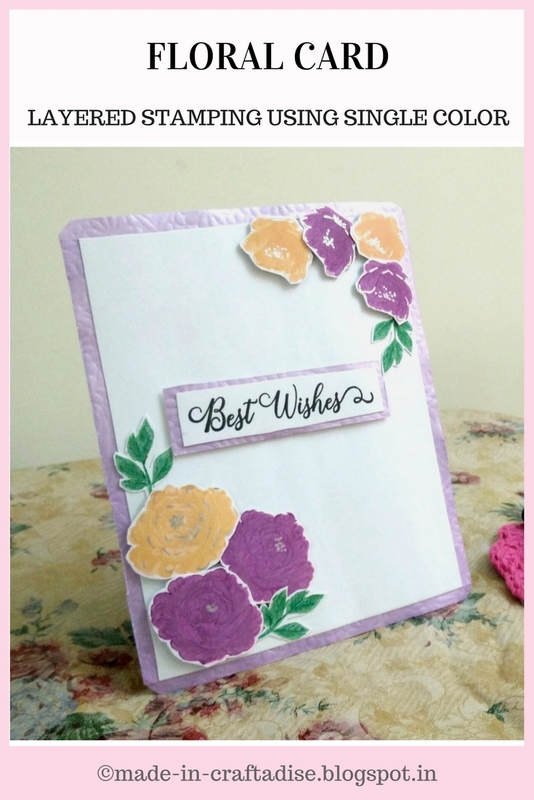 While browsing one day, I found these amazing crafters posting their creations in groups and their pages on handmade cards and the use of clear stamps. I was totally new to the concept of clear stamps, but they looked so beautiful and attractive and most importantly, Perfect. This is when I started browsing for more of such things and started checking for online stores selling Clear Stamps. To my good fortune, one such company that make these clear stamps happened to participate in an Artisans Market in Chennai, and this is when I started planning my shopping list. A big shout out to Varshitha from Mudra Craft Stamps, an Indian based company that manufactures a vast variety of clear stamps that are gorgeous and yet affordable. She is such a humble and lovely human being and a crafter and she explained the technique so well, also Parul who assisted her. Thank you so much guys. :) I am really glad to have met you both.